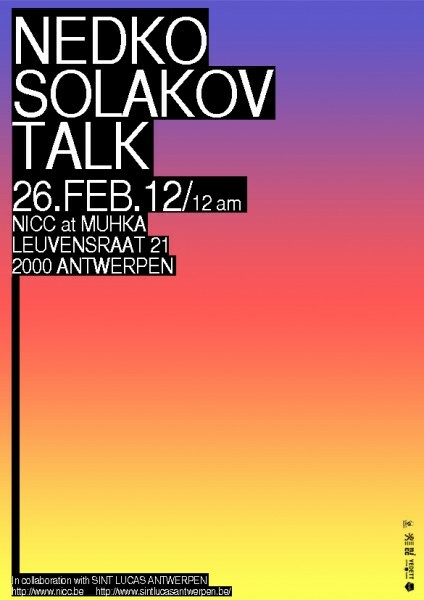 On 26th of February, Nicc organizes an artist talk with Nedko Solakov within the frame work of the artist retrospective exhibition at S.M.A.K. 'All in Order, with Exceptions'. 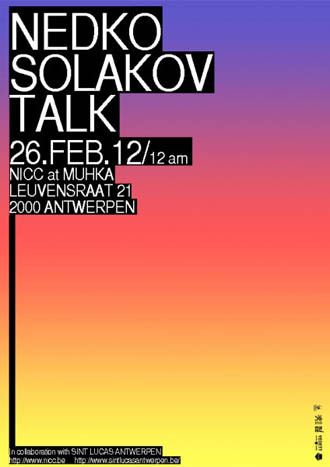 The Artist talk is organized in collaboration with M HKA and Sint-Lucas Antwerpen.